did you say $5 sunglasses? It just wouldn't have been fair to keep this site all to myself! The quality was amazing such low priced sunglasses and I will definitely be ordering more. Everyone should go check it out! I actually filmed a sunglass hall video for Youtube when these first arrived and half of the clips got lost when uploading. I don't know why I'm having so many problems with video! :( I'm still contemplating on when I'm going to refilm, but expect that video to be on the blog soon! 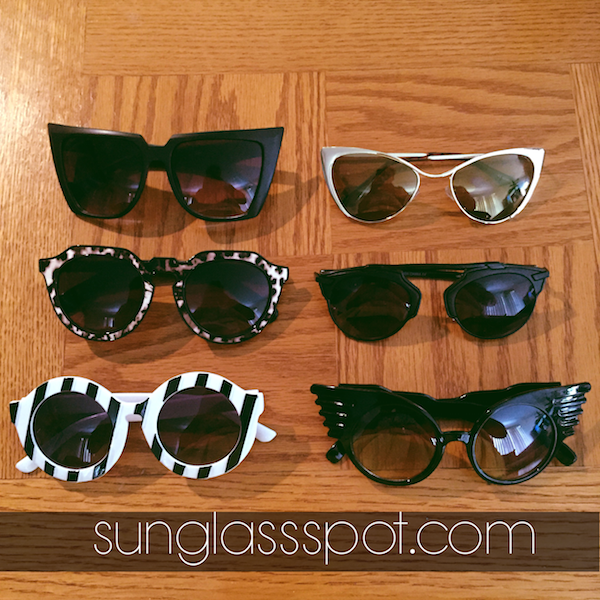 In the mean time, you can check out the awesome cat eye frames I ordered in my latest style post. Loving the styles that I chose? Click read more so that you can get your hands on these too!